How many times have you heard that you should eat high fiber foods every day? Fibers are a very important part of your nutrition because of their great benefits. So, high fiber foods are essential if you want to be healthy and slim. Fibers are most commonly divided into soluble and insoluble. 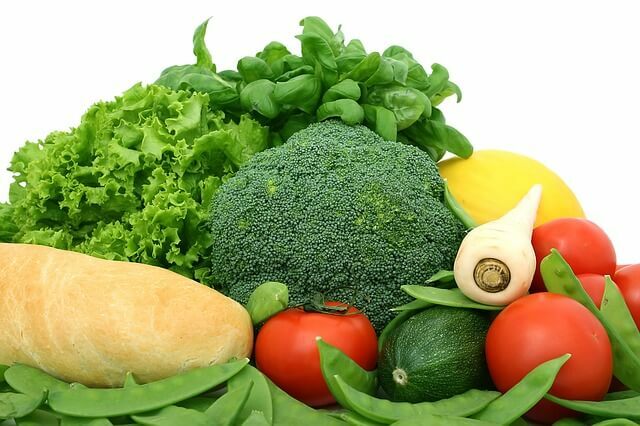 Generally, insoluble fibers have an important role in preventing digestive disorders, whereas soluble fibers are significant for regulating diabetes, decreasing cholesterol, and fighting obesity. What are the benefits of high fiber foods? Prevent constipation – One of the most important benefits of fibers. They bind water and increase the volume of the stool which enables better digestion. Reduce the risk of colon cancer – They degrade toxic substances in your digestion system. Protect the cardiovascular system – They maintain a balance of glucose in your blood and reduce the level of cholesterol. Weight loss benefits – They boost your metabolism and that’s why fibers are an essential part of every diet and weight loss program. In general, fibers speed up digestion and they affect the absorption of other nutritious substances which protect your digestive system. How to get more fiber in your diet? The required daily amount of fibers is 38 g for men and 25 g for women. To increase the intake of fibers eat whole fruits instead of juices. The largest concentration of fibers is in the pulp. Eat fresh fruits instead of unhealthy snacks. Add seeds and lentils to salads and soups. Whole wheat bread is rich in fibers which are important for a healthy weight loss. Also, brown rice and oatmeal can be implemented in your diet since they are whole grains and have more fibers than bread. But if you can’t resist bread, I suggest one made of 100 % whole grains. 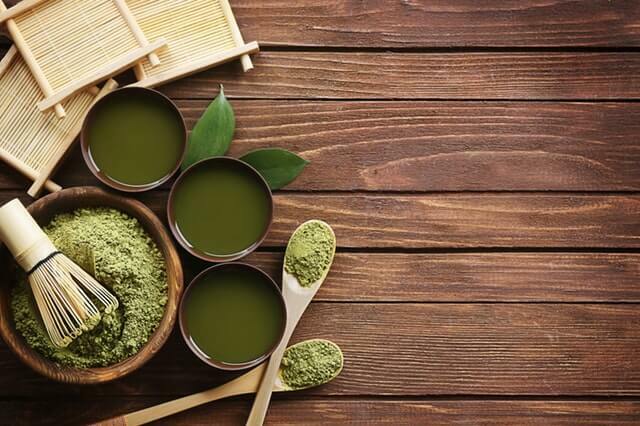 It is contained in fruits, vegetables, legumes, and seaweed. On the other hand, you can find insoluble fibers in whole grains, nuts, and seeds. Soluble fibers bind fats and sugar from food. 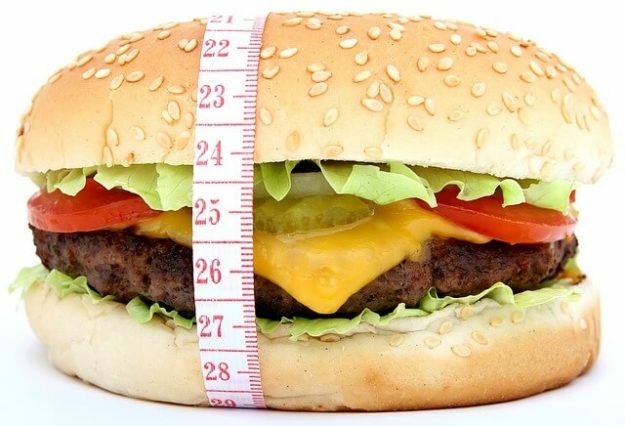 Studies show that people who eat fibers every day have fewer chances of storing fat on stomach and hips. 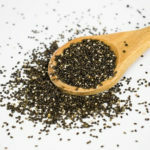 Chia seeds are rich in magnesium, phosphorus, calcium and omega-3 fatty acids. But with 35 g of fibers in 100g, chia seeds is the best food rich in fiber. Also, two spoons of chia seeds contain 10 grams of proteins. 100 g of flaxseeds contains up to 27 g of fibers. 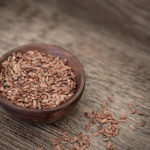 Besides fibers, flaxseeds are rich in omega-3, omega-6, and omega – 9 fatty acid, calcium, iron, magnesium. You can add flax seeds in anything and you should buy the ground seeds because the whole ones just go through your digestive system and your body can’t use their nutritious benefits. Almonds are nuts rich in manganese, magnesium, and vitamin E.
With 12.5 g of fibers in 100g, almonds deserve to be at least snack in your meal plan. Dark chocolate (with at least 75% of cocoa) is rich in antioxidants and it’s very nutritious thanks to its main ingredient-cocoa. With 11g of fibers in 100 g, this is an excellent dessert after hard, exhausting day at work. Dark chocolate is also rich in good fat and flavonoids. Because of that, dark chocolate became part of many diets. If you eat a little bit of dark chocolate you will crave less for sweets and your sugar level will be balanced. Besides proteins, oatmeal is rich in fiber and it contains 10.5 g per 100 g.
Dry peas are made by drying grains of peas. It is rich in protein (25%), iron, magnesium, calcium, tin, vitamin C, B6, and A. It contains 8.5 g of fibers per 100g. Lentils are rich in vitamin A and C and minerals like iron and magnesium. 100 g of lentils contains 8 g of fibers. 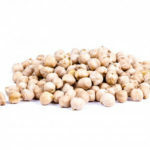 Chickpea is rich in magnesium, iron, and calcium. It contains 7.6 g of fibers per 100g. Also, one hundred grams of chickpeas contains 14 grams of proteins. Avocado is a fruit which has nothing in common with other fruits. Instead of being high in carbs it is high in good fats. Healthy fats. It is also rich in vitamin C, E and B complex, potassium and magnesium. In 100g you can find 6.7 g of fibers. It has the most fibers among high fiber fruits. Also, an average avocado has about 3 grams of proteins. This fruit is rich in vitamin C and manganese. Also, it contains antioxidants which protect your body cells. 100 g of raspberries contain 6.5 g of fibers. 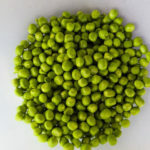 This vegetable is rich in vitamin B complex, iron, magnesium, potassium, and zinc. Beans contain 6.4 g of fibers per 100 gr. A plate of boiled beans per day can lower your cholesterol up to 10 % in just one week. Furthermore, two cups of beans contain 26 grams of proteins. Artichokes are well known as a ‘liver cleaner’. They are rich in vitamin C and B6, magnesium, iron, and tin. They contain 5.4 g of fibers per 100 g.
This vegetable is rich in vitamin K, potassium and powerful antioxidants which prevent cancer. 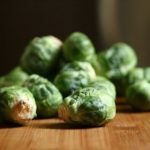 In 100 g of Brussel sprouts, you can find 3.8 g of fibers. Pears contain 3.1 g of fibers per 100g. 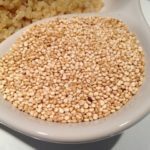 Quinoa is a pseudocereal rich in magnesium, iron, zinc, and antioxidants. You can find 2.8 g of fibers per 100 g of quinoa. It is rich in vitamin C and B6, iron, and magnesium. Beet can regulate your blood pressure. 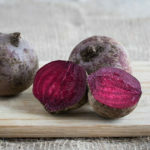 100 g of beet contains 2.8 g of fibers. Carrots have high amounts of beta-carotene which is essential for vitamin A synthesis in your organism. They are rich in vitamin C, E, K, phosphorus, iodine, potassium. 100 g of carrots contain 2.8 g of fibers. Broccoli is rich in vitamin C, K. B, iron, manganese, antioxidants and it is one of the best zero-calorie foods. It contains 2.6 g of fibers per 100g. In addition, a cup of chopped broccoli contains 8,1 grams of proteins. The most popular fruit among athletes. It contains vitamins and minerals, but it is famous as an energy booster. 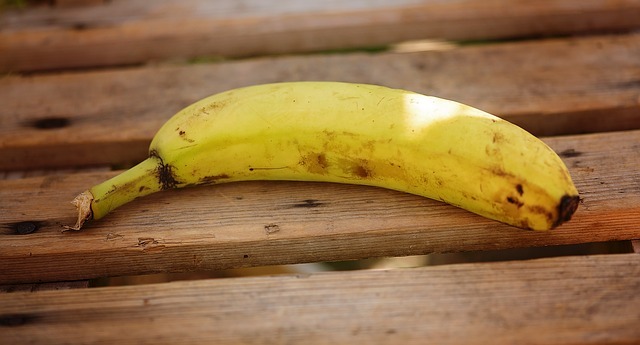 2 bananas can provide you with energy for 90 minutes of hard work. 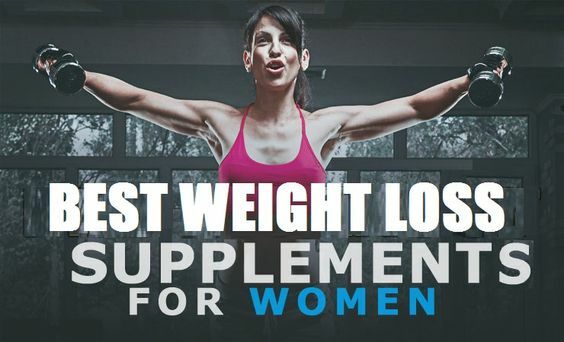 READ MORE: THE MOST EFFECTIVE DIET PILL FOR FAST WEIGHT LOSS!